Los Angeles natives know that beautiful weather is a given almost 365 days a year. 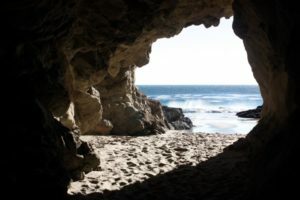 Those of us living in Southern California, lucky enough to benefit from consistent idyllic beach days, can surely agree that showing off our beaches tops the list of things to do in Los Angeles with family when they come to town. You are likely the one planning an itinerary for your family’s visit, and a trip to the coast is an activity that appeals to all ages and abilities. Here is our list of accessible beaches in Los Angeles that make for a relaxing day for the elderly, handicapped and little ones alike. Family-friendly ambiance and amenities are of utmost importance to us at Paradise Cove Beach Cafe. 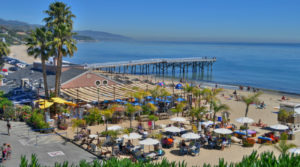 While the cove creates an experience of intimacy and privacy along the stretch of Pacific Ocean in Malibu, our restaurant and beach terrace provide the added benefit of a senior accessible beach in Malibu. Wheelchairs, canes and strollers are easy to accommodate here, as our parking lot is directly adjacent to our restaurant, which sits right on the sand. We take care of delicious, world-famous food and drinks so that your family can focus on creating cherished memories, enjoying the sun and sand with each other. 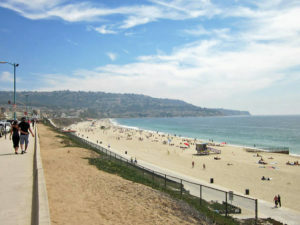 Will Rogers State Beach provides more fun in the sun activities for families to take advantage of. 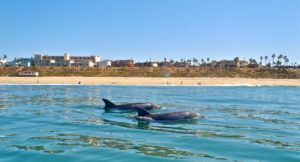 Swimming, surfing and diving are all possible here, as well as a bike trail and restrooms with showers to rinse off at the end of an exciting day outdoors. When considering things to do in Los Angeles for the handicapped, it is reassuring that Will Rogers State Beach provides beach wheelchairs as an added amenity. If your family is more adventurous, consider renting an RV as transportation for your Southern California beach vacation. This is one way to share the experience of outdoor activities with elders in your group. 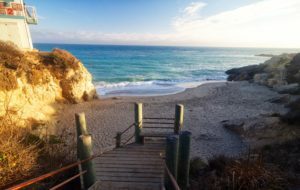 Just north of Malibu, Leo Carillo State Park provides visitors with its Canyon Campground for RVs and tents, hiking trails of varied levels of difficulty, picturesque views of the Channel Islands, caves and tidepools along its beaches to discover sea life, and picnic areas to mingle with other coastal explorers. Lifeguards are staffed here in peak seasons to ensure ocean safety. 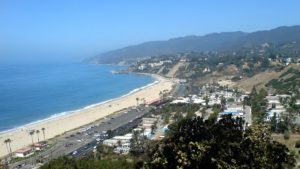 If you are planning to travel further south along the coast, Redondo Beach is great for swimming, surfing, and windsurfing and the horseshoe-shaped pier is good for fishing and has many restaurants and shops. The beach is wide and flat, and amenities include showers, restrooms, and volleyball nets. An additional benefit for future use is that Hermosa Beach set aside $28,000 in 2017 to redesign the Greenbelt pathway as ADA-accessible. This project will be piloted with a portion of the path at first, installing decomposed granite in place of the existing wood chips and mulch that are not compatible for wheelchairs. 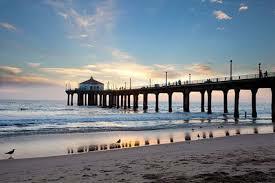 Manhattan Beach offers a fun day trip option. The beach is clad with surfers, sunbathers and dozens of volleyball courts for an active day on the beach. The pier includes a small aquarium at the end, which is a bonus on our list of things to do in Los Angeles with family of all ages.